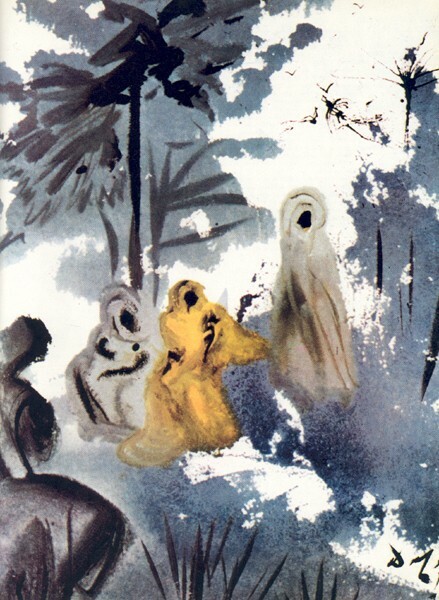 Naomi stands on the road to Judah as her two Moabite daughters-in-law, Ruth and Orpah, beg to accompany her to her native land in this watercolor by Salvador Dali. Following the death of her husband, Elimelech, and her two sons, Naomi decided to leave Moab, where her family had fled to escape famine. Unlike Orpah, who returns to her Moabite family in obedience to Naomi’s wishes, Ruth insists on traveling to Bethlehem with Naomi. Ruth vows, “Your people will be my people and your God my God,” a declaration of love and loyalty cemented when Ruth marries Elimelech’s wealthy kinsman, Boaz. Elimelech’s family recovers its land through this marriage and, when Ruth and Boaz have a son, Obed, the family also gains a future. Photo: © Demart Pro Arte®/Artists Rights Society (ARS), NY. In different Bibles, the Book of Ruth is put in different places. In Christian Bibles it is slipped in between Judges and Samuel, among the historical books. In the Hebrew Bible it’s in an entirely different place, in the third section, known as the Writings. It does not seem to fit neatly into the sequence of biblical books. If this suggests that the Book of Ruth is an anomaly, I propose to show that, on the contrary, its thematic connections with the rest of the Bible are much stronger than we generally perceive. On its face, the Book of Ruth is a short self-contained story, unconnected to the narrative sequence from Genesis through Kings. The tale begins not in Israel or Judah but in Moab, where the Israelite Naomi and her husband, Elimelech, and her two sons, Mahlon and Chilion, went during a famine in Judah. There her husband died, and her sons married Moabite women named Ruth and Orpah. Wherever you go, I will go; wherever you lodge, I will lodge; your people shall be my people, and your God my God. Where you die, I will die, and there I will be buried. Thus and more may the Lord do to me if anything but death part me from you. Together they journey to Naomi’s former home in Bethlehem. But once there they have to provide for themselves. Since it’s time for the barley harvest, Ruth decides to glean from a field. Although she doesn’t know it, the field she chooses belongs to a wealthy kinsman of Elimelech named Boaz. When Boaz visits the field and hears of Ruth’s loyalty to his kin Naomi, he instructs his workers to allow her to glean unmolested and even to leave additional grain in her path. Meanwhile, in seeking to find a husband for Ruth, Naomi advises her to go to the threshing floor on the night Boaz winnows barley, to wash and prepare herself, and to uncover Boaz’s feet and lie next to them while he sleeps. This Ruth does. When Boaz awakes, startled to find Ruth at his feet, she asks him to spread his robe over her—a symbolic act of espousal—because Boaz is a “redeeming kinsman,” that is, one who has a right to redeem Elimelech’s property and at the same time to marry his son’s widow so as “to perpetuate the name of the deceased upon his estate” (Ruth 4:5). Boaz, impressed that Ruth has chosen him, an older man, out of family loyalty, agrees with enthusiasm to have her, so long as the one man in Bethlehem who is a closer redeeming kinsman does not want Ruth for himself. 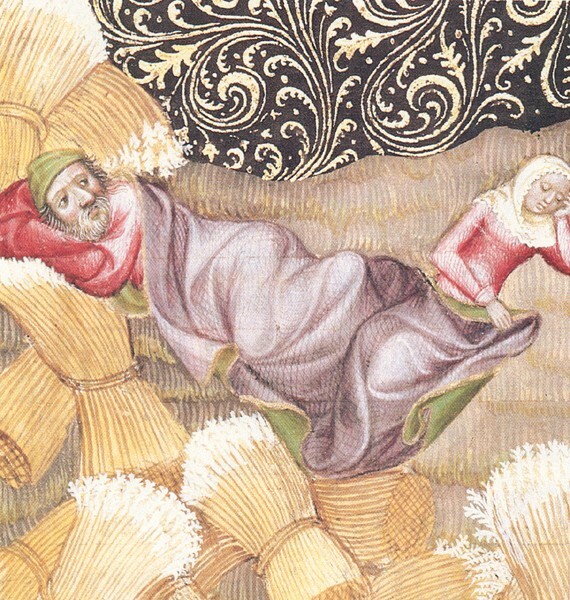 Bundled together like sheaves of grain, Boaz and Ruth share a blanket, symbolic of espousal, in this 14th-century illustration from the Wenzel Bible. Photo: Austrian National Library, Vienna. Today I am acquiring from Naomi all that belonged to Elimelech and to Chilion and Mahlon [his sons]. I am also acquiring Ruth the Moabite, the wife of Mahlon, as my wife, so as to perpetuate [Mahlon’s] name upon his estate, that [his] name may not disappear from among his kinsmen. The child Obed is shown in this decorative letter, in the arms of either Ruth or Naomi. Photo: Bayerische Staatsbibliothek, Munchen. So they were married and had a son, Obed, who “was the father of Jesse, father of David” (Ruth 4:17). That the Book of Ruth is read in the synagogue on the festival of Shavuot, which commemorates the giving of the Torah (the Five Books of Moses), alerts us to the book’s possible connections with the Torah. But alas, both the usual explanation (that Shavuot celebrates the spring grain harvest, which forms the setting for the book) and various lesser-known explanations (that David, a great-grandson of Ruth, died on Shavuot or that Ruth’s loyalty to Naomi symbolizes Israel’s loyalty to the Torah) touch only upon superficial connections or are clearly midrashic1 efforts to forge a connection. I propose a much more fundamental and far-reaching link between Ruth and the Torah—indeed, with the entire Bible—a link that goes to the very heart of the overarching theme of the Bible. Raise your eyes and look out from where you are, to the north and south, to the east and west, for I give all the land that you see to you and your offspring forever. I will make your offspring as the dust of the earth, so that if one can count the dust of the earth, then your offspring too can be counted. The early chapters of Genesis are a prologue to this covenant, describing the creation of all the land in the world and of all of its peoples, until the narrative focuses on one particular family: Abraham’s. The rest of Genesis concentrates on the growth of this family (the “people”) as they move from Haran to Canaan, to the Negev, to Egypt, to Hebron, to Dan and to Beersheba. By the end of Genesis the extensive family is settled in Egypt. Abraham’s family is first called a people in Exodus: A “new king arose over Egypt,” and he said: “‘Look, the Israelite people (am bnei yisrael) are much too numerous for us’” (Exodus 1:8, 9). 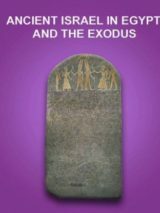 The narrative from Exodus to Deuteronomy relates the return of this people from Egypt to the land they have been promised. The section known in Jewish tradition as the Former Prophets (Joshua, Judges, Samuel and Kings) details the vicissitudes of the people in the promised land, until, at the end of Kings, the Babylonian king Nebuchadnezzar conquers the territory of Judah and sends its people into exile. Ezra/Nehemiah recount the people’s return to the land and the restoration of the community in it. Read more about women in the Bible, including Lilith, Jezebel, Judith, and Lydia and Tabitha. The Book of Ruth, too, is about exile and return, land and people. Like Abraham, and like the family of Jacob (see the story of Joseph), the family of Elimelech was forced by famine to leave its home in the land of Israel and to preserve itself in a foreign land. When the famine abates, Naomi returns to Bethlehem. Far from being a casual move, the importance of returning is emphasized in chapter 1 by the repetition of the root shuv, “return,” twelve times as Naomi bids her daughters-in-law return to their families in Moab and as she returns to Judah with Ruth. Technically Ruth cannot return to Bethlehem, since the Moabite woman has never been there. Her return is really Naomi’s return; Ruth is known in Bethlehem as “the one who returned with Naomi” (Ruth 2:6). Land plays a large role in the Book of Ruth. First, Ruth establishes a physical connection with her newly adopted land as she gleans in Boaz’s field. Second, and more complicated, Naomi offers for sale or redemption a parcel of land that once belonged to her husband, Elimelech. This transaction raises legal questions, but more importantly, the proper inheritance of land has special significance in the Bible. Land was not to be alienated from its original owner or from his descendants. This principle lies behind many of the Bible’s laws and narratives—from the division of property between Lot and Abraham, when Lot chooses the plain of the Jordan River and Abraham remains in the land of Canaan (Genesis 13:9–12); to the claims of the daughters of Tzelofchad, who gained the right to inherit the land when their father died without sons (Numbers 27); to the laws of the jubilee years when the land returns to its original owner (Leviticus 25); and to the judgment that falls on King Ahab and Queen Jezebel for having Nabot killed so they could get his vineyard (1 Kings 21). Central to the Book of Ruth is the institution of the goel, the “redeemer” whose duty, according to Leviticus 25:25, is to buy back any land sold by his kinsman out of economic necessity. Seen against this background, the references to land in the Book of Ruth not only provide the setting for a pastoral romance, they also link the story to the covenant theme of land—whether private or national. However, the family and people part of the covenant theme is more prominent than the land part in the Book of Ruth. At first it would seem that the ties that bind Naomi, Ruth and Orpah after the deaths of their husbands do not make them a family in any customary sense. They have no legal obligation to one another and can offer each other no mutual protection or support. More to the point, none of them seems to be able to restore the family by producing an heir. It is therefore entirely appropriate that Orpah accedes to Naomi’s suggestion that she remain in Moab with her parental family. Ruth’s response is extraordinary, for she is under no obligation to care for Naomi, just as Naomi, with her own extraordinary response, is under no obligation to provide for Ruth. Ruth’s poetic words, “Wherever you go, I will go, wherever you lodge, I will lodge,” are rightly famous, both for their beauty of expression and for their sentiment. “Your people shall be my people, and your God my God” is a radical thought because it signals that Ruth is changing her identity in a world where that was almost inconceivable. The ancient world had no mechanism for religious conversion or change of citizenship; the very notion was unthinkable. Religion and peoplehood defined one’s ethnic identity, and this could no more be changed than the color of one’s skin. A Moabite was always a Moabite, wherever he or she lived. And indeed, Ruth is referred to throughout the story as “the Moabitess.” But from Ruth’s point of view, she is becoming an Israelite. She is joining herself to Naomi not only on the private family level, but also on the national peoplehood level. In this coming together of family and peoplehood, we are again reminded of the stories of the patriarchs, in which the family represents the people. In the patriarchal stories the main concern was the establishment of the family line—the quest for an heir whom God will designate as the one through whom the people of Israel will be born. The amazing thing about these accounts is that, although lineage is defined through the males, it is the women who take responsibility for the continuity of the family and the guardianship of its lineage. It is the women, often despite their husbands, who ensure the birth of the next generation and who direct the proper line of inheritance. Sarah, at first barren, provides a surrogate mother (Hagar) for Abraham, and later, when she bears her own son, Isaac, sees to it, with God’s approval, that he—not Ishmael—is the designated heir. Isaac’s wife Rebekah also guides the line of descent away from Esau and toward Jacob, as God had wanted. In the stories of Jacob’s wives, Leah and Rachel, the issue is no longer which son will be the heir, for they are all “the children of Israel.” Rather, the emphasis is on the accumulation of progeny. Rachel, initially barren, is jealous of Leah’s ability to bear children and so supplies her maidservant Bilhah to Jacob for this purpose (as Sarah had done for Abraham). Leah, during a hiatus in her childbearing, does the same by giving her maidservant Zilpah to Jacob as a concubine. Leah and Rachel’s eagerness to bear children for Jacob is again emphasized when they argue over who shall use the aphrodisiac mandrakes found by Leah’s son (Genesis 30:14–16). In all, Leah and Rachel provide Jacob with 12 sons (and one daughter), who will in turn father the 12 tribes—the people of Israel. Ruth’s explicit link to Rachel and Leah occurs in the blessing of the townspeople as they witness Boaz’s redemption of Ruth and of the land of Elimelech and Mahlon: “May the Lord make the woman who is coming into your house like Rachel and Leah, both of whom built up the House of Israel” (Ruth 4:11). In the blessing, the townspeople add a specific reference to Judah, the founder of Boaz’s tribe: “May your house be like the house of Perez whom Tamar bore to Judah” (Ruth 4:12). The story of Tamar and Judah is also a story of family continuity achieved by the determination of a woman. Tamar bears twins, Perez and Zerah, after she masquerades as a prostitute to seduce her father-in-law, Judah, who had failed to fulfill his promise to give her his youngest son Shelah as a husband after his two older sons had died while married to her (Genesis 38). The references in the Book of Ruth to Rachel, Leah and Tamar serve not only to welcome Ruth into the Judahite community by linking her with the mothers of that community, they especially lead us to view Ruth in the mold of the heroic women who ensured the preservation of the people of Israel. Thanks to Ruth, the family of Naomi (strangely, the text does not put it in terms of Elimelech or Mahlon) survives. The child born to Ruth and Boaz is “a son…born to Naomi” who will “renew her life.” For Naomi, Ruth is better than seven sons (Ruth 4:15), for she produces what Naomi’s sons failed to, an heir. An heir implies an inheritance, and in the Bible that means land. At the end of the Book of Ruth, the themes of land and family come together. Boaz reunites the family with its land by redeeming Elimelech’s land and by marrying Ruth, the widow of Elimelech’s son, Mahlon. The story comes full circle: The family that left its land and had no descendants returns to its homeland and acquires an heir and a patrimony. This would be uplifting even on the level of an individual family; but like the patriarchal stories, the Book of Ruth speaks to the national level as well. This is no anonymous family that is restored—this is the family into which King David will be born. 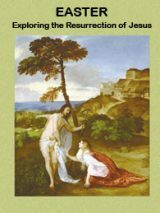 Just as Ruth’s adoption of both Naomi’s people and God raises their return to Bethlehem from the personal to the national level, so the genealogies at the end of the book lift the story to the national level. One genealogy begins with Obed, son of Boaz and Ruth, and culminates three generations later in David; the second goes back to Perez, the son of Judah and Tamar, then leads to Salmon, father of Boaz, and after ten generations also culminates in David. David, as Israel’s greatest king, founded the Davidic dynasty, the one to which God promised an eternal kingdom. David represents both the United Monarchy at its height and the promise of its eternal existence. The covenant with David, like the covenant with Abraham, is an emblem of God’s promise to Israel. The story of Ruth provides for David the same pattern that produced the patriarchal line and the line of Judah—namely, the perpetuation of the family through the deeds of women—and it thereby joins the covenant with David to the covenant with Abraham. The promise to Abraham of progeny and land is renewed in the promise to David of the dynasty and the kingdom. The theme of family continuity becomes the theme of national continuity. The Book of Ruth is the bridge between the era of Israel as family or tribe and Israel as nation. Far from being peripheral to the main narrative sequence of the Bible, Ruth dramatizes its principal theme: the continuity of this people in their land. Adapted from Reading Ruth, edited by Judith Kates and Gail Reimer (©1994), Ballantine Books, a division of Random House. “Ruth—Big Theme, Little Book” by Adele Berlin originally appeared in Bible Review, August 1996. Adele Berlin was the Robert H. Smith Professor of Hebrew Bible at the University of Maryland before retiring. A groundbreaking literary critic, her 1994 book Poetics and Interpretation in Biblical Narrative is a seminal text. She is one of the few women to serve as the President of the Society of Biblical Literature. Her many publications include Zephaniah (Doubleday, 1991), Biblical Poetry Through Medieval Jewish Eyes (Indiana Univ. Press, 1991) and The JPS Commentary: Esther (Jewish Publication Society, 2001). 1. Midrashic interpretation departs from the plain sense or context of a Bible passage in order to fill in gaps, forge links with other parts of the Bible, or teach ethical and religious values. LOL. Like the Church, Ruth went with her mother in law, representing Israel, when she had nothing left to lose no husband, no kids. Naomi at least had kinsman and suddenly Naomis God is Ruths God, Naomis people, her people? I see this so called Church down on its luck do to its worship of a failed messiah who had nothing left to lose but to glaum on to the one nation that still had the grace of God on it. The fact that she had to tell Naomi that Naomis God would be her God only shows that the Church sees its failure in believing in the executed messiah and finally agrees to accept the true God on his terms, with no intercession. Before that Yaweh was probably part of Ruths ovreall Pantheon of Gods, a Trinity or more of Gods. Now this story reveals the bankruptcy of the Church and its need to give up and follow Israels lead, not some would be Messiah. A further interesting point to the story it that Ruth, as a Moabitess, belonged the people founded by Moab: the son of Lot’s eldest daughter by her father (Gen 19:37). This was a people unacceptable in the God’s congregation even to the tenth generation, indeed, forever (Deut 23:3)–with no over-riding provision for proselytes or by gender; yet our Lord Jesus was born of a descendent of Ruth (Isa 11:1; Micah 5:2; Luke 1:26-35). For me this circumstance reinforces the message of Christ that what is in an individual’s heart is what counts–what had always counted, but the Law and its observance had been intended to maintain a close relationship between God and his Chosen People until the coming of Jesus and the new, simpler, covenant. I thought according to the Hebrew the phase “uncovered his feet meant something more salacious. See Jennifer Knust Unprotected Texts, p.36. Undoubtedly, the land/family motif helps to explain why the author emphasizes certain details and ties the story to the Torah and rest of the Old Testament. However, from a Christian perspective, the story can also be seen as a type whose anti-type is the story of redemption of humanity through the Messiah. The whole theme is that of the need of redemption of those unable to rescue themselves by a kinsman redeemer. In Bethlehem, the story begins with the barley harvest (Passover) and concludes at the wheat harvest (Pentecost/Shavuos). The characters in this story are the family from whom King David, and ultimately, the Messiah will come. The gentile women in Jesus’ ancestry are explicitly brought out by the Gospel writers and demonstrate how foreigners are “grafted in” to the native family tree of Israel. And there are other parallels which can be pointed out. Loved it so much. Great insight in the sacred scripture. As a Christian we see in Ruth the coming of the church, the gentiles as part of the people of God. Paul in the book of Gslatians calling the reconciliation of the two ( the Jews and the gentiles) to become one.